What kind of name is Snickerdoodle? Why is this traditional cookie called a Snickerdoodle? WHY? Where did it even come from? I cannot think of any link ‘snicker’ or ‘doodle’ has with a cinnamon-sugar rolled fluffy cake-cookie. So I went to the one source I knew would give me answers – Wikipedia. I still don’t get it to be honest. Snail noodles = cookie? But I can understand the English fancy for weird names – ever seen the ‘Gorgeous Georgians’ on Horrible Histories? Often I get my recipes from this website and they are almost always fantastic. There is no obsessive need for more cookies or any high flying emotions one can tend to get from, say, these brownies or something. They are the very embodiment of the word ‘content’. Oh and before I leave you on this note, be warned that I will probably be making references to Horrible Histories for a while to come continuously – I am a huge lover of history and this is the best way to learn it! Okay, great food blog minds think alike. I cannot believe we both wrote about the origin of snickerdoodles in our blogs! I feel a foodie kinship from across the miles! Great cookies and once again, beautiful pictures! Awww, I am currently extending my hand in friendship! Thanks for the kind words and for visiting! I like the explanation that Snickerdoodle is just a whimsical name! That makes this a delightfully whimsical cookie to eat. This is a fun post and always appreciate learning some of the history behind foods. Oh, yeah, and who doesn’t like a snickerdoodle? These are perfect-o! Glad you liked them – and I always love seeing the history behind whatever I make! 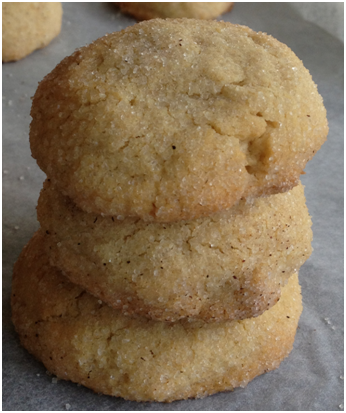 Snickerdoodles are a classic favorite-yum! After reading this and seeing the end result, I think that the alterations did make for a better, fluffier cookie. You should name these snicker goodies! Great creative post here, bravo! Thank you for the compliments and glad you enjoyed this post my friend! Your cookies look wonderful. Nothing like a classic when a cookie craving hits! And I completely agree – traditional satisfies best! If you did not start with explaining what is snickerdoodles, I would have been wondering about it. I have not tried this recipe before but sure after looking at the pics you have shared. I hope you enjoy making them if you do! Could have done without the “snail doodle” reference. I will never look at these cookies the same again! 😦 However, your cookies look wonderful! Sorry bout that – but hopefully the pictures will keep you loving these cookies! Haven’t made snickerdoodles for more than a year now. Thanks for the reminder of how good these cookies are! 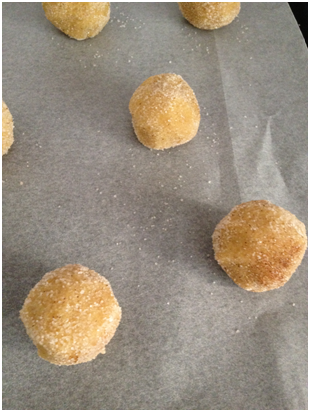 I have never had a snickerdoodle before, although I like that they sound more cakey than cookie – I prefer it that way! I am interested that they work just as well with whole wheat flour. I’ve made the switch before and the results ended up much drier! 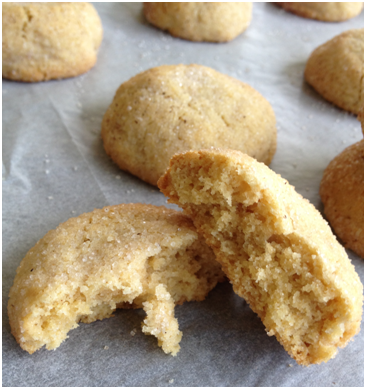 Your snickerdoodle cookies look amazing! Funny coincidence how we both posted snickerdoodles on the same day. I’d love to try these ones that you made! Thank you 🙂 And likewise – ours are so contrasting but I bet yours tasted simply awesome! I love snickerdoodles and yet I have never baked them myself. Which that in itself seems strange as I bake all the time. I’m going to try your recipe as I like how they are not thin and spread out but do look cakey. I bet they tasted amazing, they sure look good. And let me know how they turn out – these were soft and moist! Enjoy!